Nazi-cinema was a state-controlled industry, subject to rigid political and cultural censorship. At the same time, it aspired to be “Great Cinema”; it viewed itself as an ideological and aesthetic alternative to Hollywood. A German dream factory. Rüdiger Suchsland’s Hitler’s Hollywood takes a closer look at the roughly 1000 feature films made in Germany between 1933-1945, examining how stereotypes of the “enemy” and values of love and hate managed to be planted, into the heads of the German people, through the cinema screens. 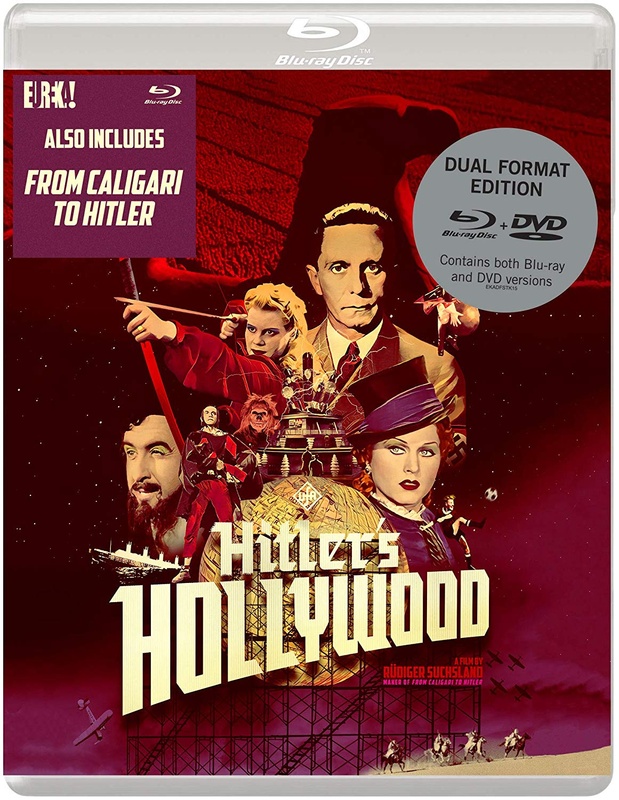 Special bonus includes Schsland's 2014 documentary - From Caligari to Hitler.